Well this is the cream of the crop. Rolex is one of the most perfect males I have ever seen. 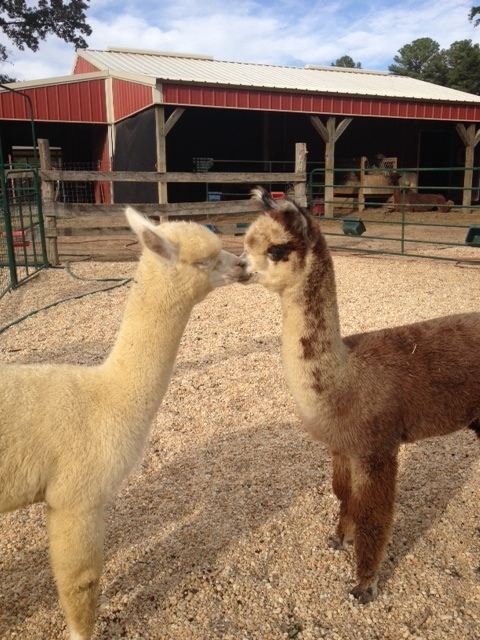 He has an amazing head style, bone structure and conformation along with a stunning, dense, elite fleece. 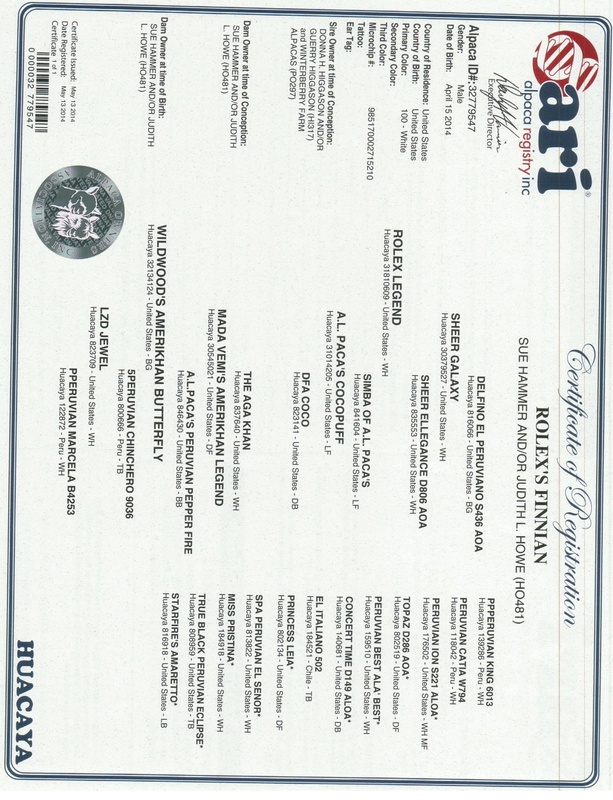 Rolex is the son of Sheer Galaxy and Cocopuff. Coco is a Color Champion herself, daughter of Simba of A.L.Paca's, a 9X Color Champion and Sheer Galaxy, a 6X Color Champion. Caligula and Guellermo bloodlines. We waited with great expectation for the arrival of this cria and we weren't disappointed! Our amazingly soft and friendly Butterfly and 4 time champion and Judge's choice Rolex Legend produced this wonderful light male cria. 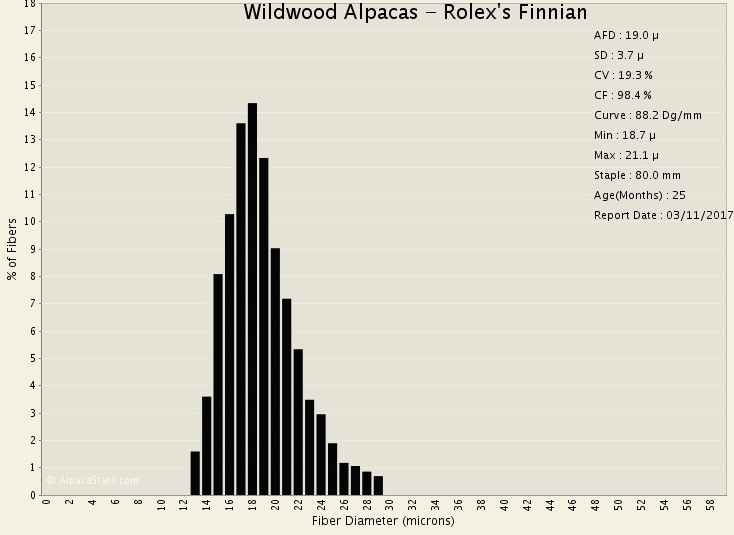 Like his mom, he has beautiful fleece that at over 2 years still has an AFD of 19, a CV of 19% and most remarkably a curvature of 88. Totally amazing. 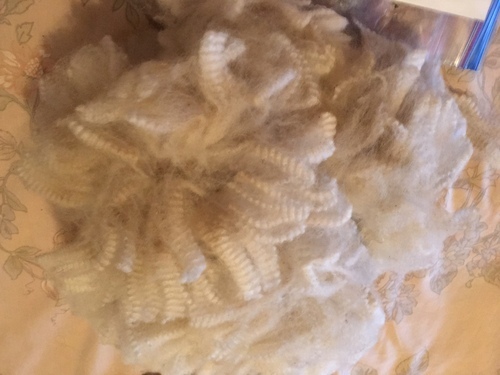 He is a large male, and makes a lot of fleece. 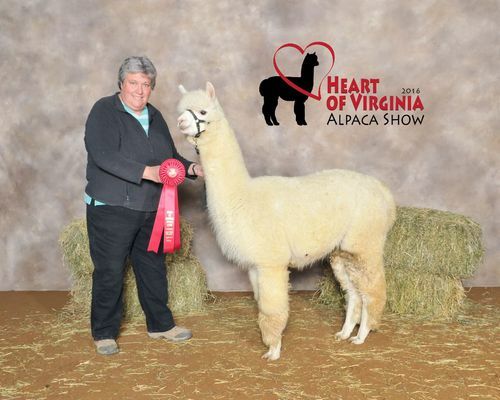 He is a little bit tall with less leg coverage than some judges like but if you want to add awesome fleece characteristics to your female, Finnian is your man. 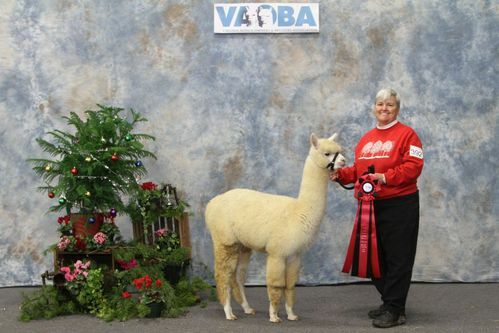 Finn made his show debut at the 2014 VAOBA Expo and got a second in the light juvenile class. He took a lot of seconds, probably due to that tall frame of his. 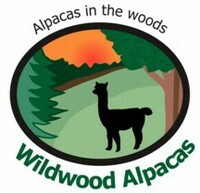 He's earned blue ribbons in fleece competitions. He's ready to breed.